Want to try something delicious and exotic? Luckily, you can enjoy the traditional Korean glass noodles called “Japchae” right at home. 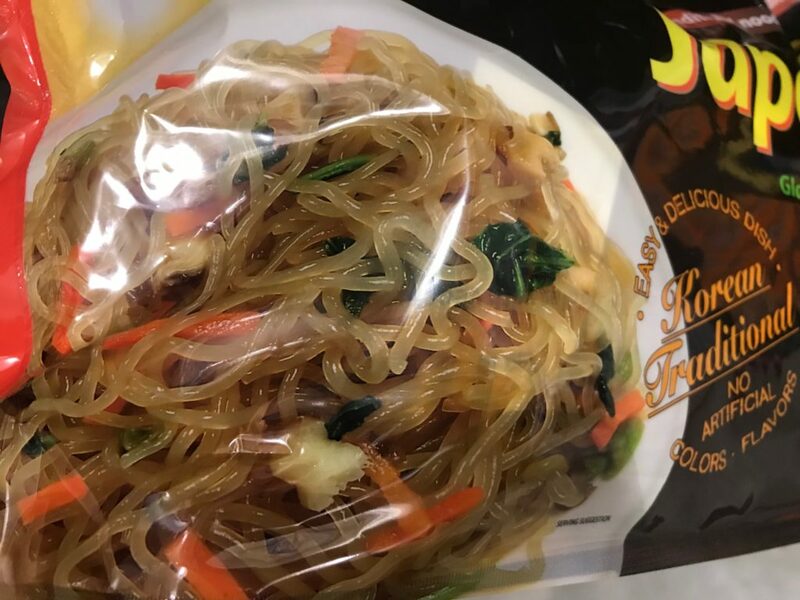 Japchae Korean Glass Noodles is a convenient and delicious dish that can be easily customized based on other ingredients you have in your kitchen. Glass noodles are a common and prevalent type of noodle enjoyed in many Asian countries. Whatever you cook Japchae with, it will readily absorb the liquid and flavors of the ingredients surrounding it and bring delightful new dimensions of flavor to the dish. Item name: Japchae Korean Glass Noodles. Traditional Korean glass noodles (aka Japchae). 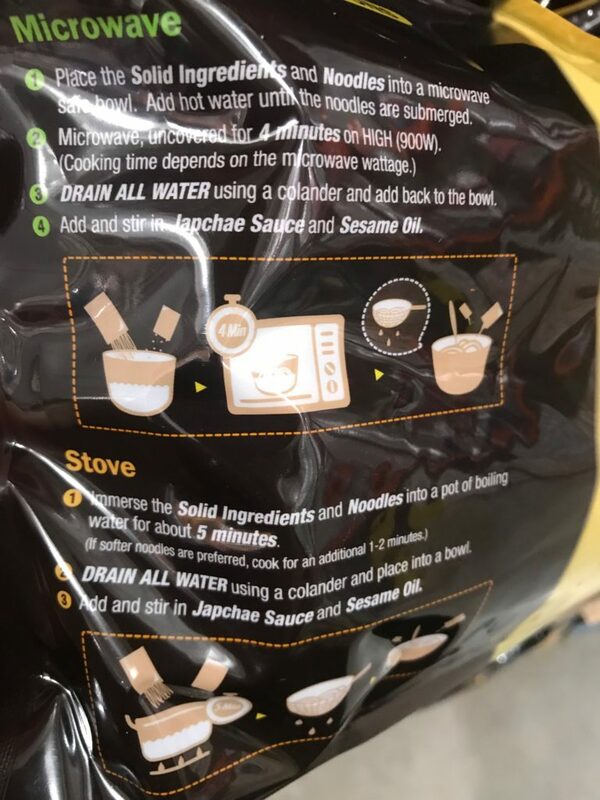 Includes solid vegetables for mixing. Sodium content is derived naturally from fermented soy sauce. 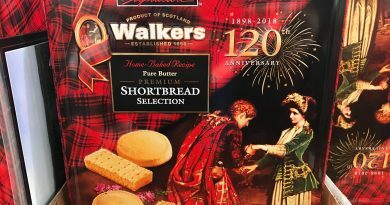 You can see the photo panel below for the whole ingredients list. Allergen information: Contains soybean and wheat. 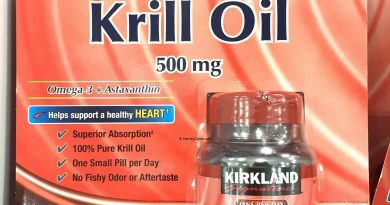 This product may also contain milk, egg, fish, and crustacean shellfish. 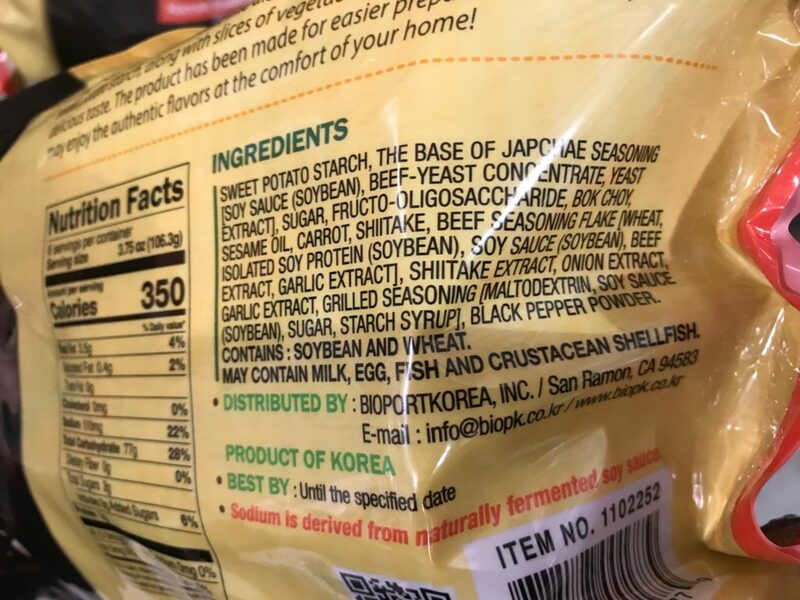 There are about 6 servings per container of Japchae Korean Glass Noodles. 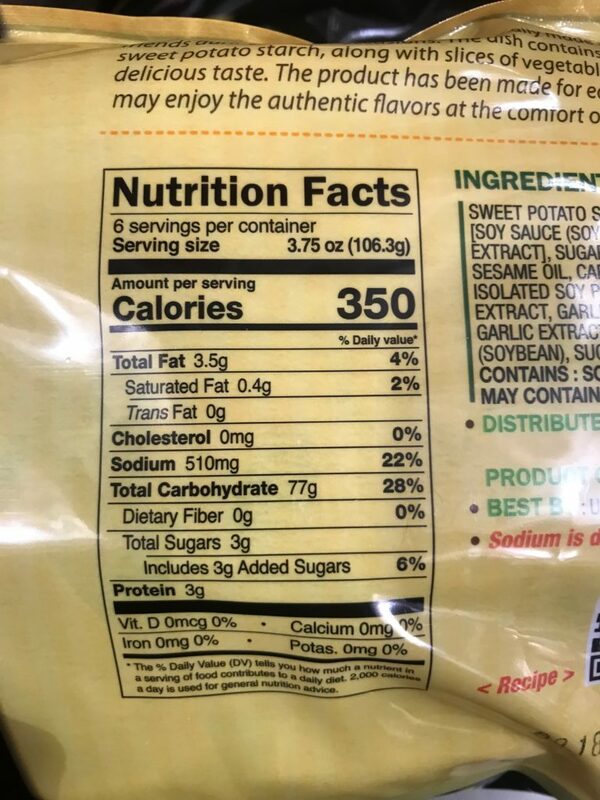 Each serving size is about 3.75 ounces or 106.3 grams. A serving contains 350 calories and there is about 3 grams of protein as well. 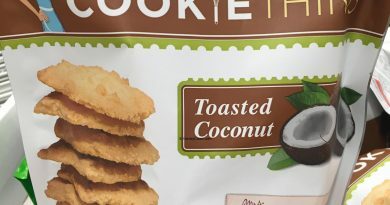 The manufacturer also added three grams of sugar per serving. Japchae is a traditional Korean dish that was typically made and enjoyed with family and friends during special occasions. The dish contains glass noodles made from sweet potato starch, along with slices of vegetables and meat for a hearty and delicious taste. This Japchae product has been made for easier and more convenient preparation so that you can enjoy the authentic flavors at the comfort of your home! What do Korean Glass Noodles Look Like? Have you ever had glass noodles before? True to its name, these soft yet chewy noodles are almost transparent. Glass noodles tend to “absorb” water and flavors you cook it with. For example, if you cook glass noodles with soy sauce, your noodles are going to end up salty and dark. If you cook them instead with chicken stock, it will turn slightly brown with a lot of chicken flavors. Traditional Korean glass noodles tend to absorb the water and flavors of what you cook it with. This creates a very flavorful and delicious noodle dish. It’s easy to make Japchae, especially with this package which includes all the flavors and vegetables for stirring. 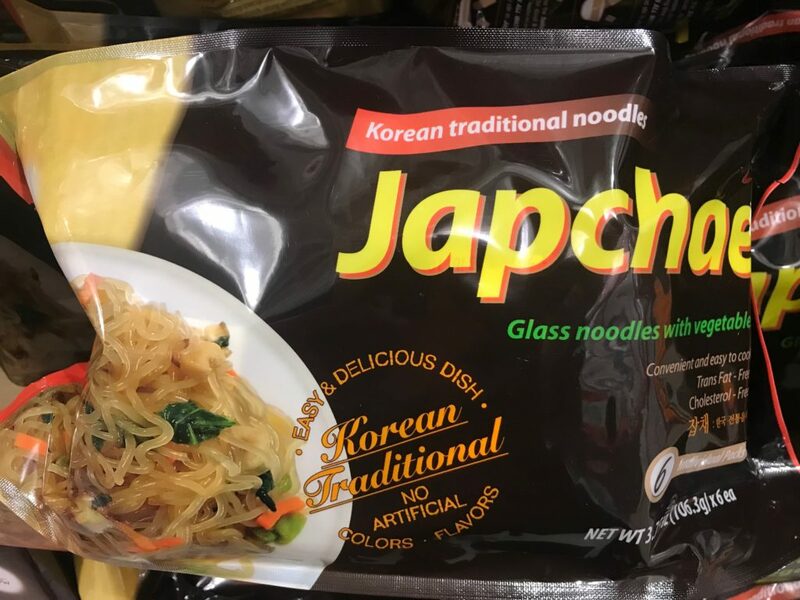 Looking to Purchase Japchae Korean Glass Noodles? Based on my research, Amazon now has a similar item in stock at a great price with shipping included. 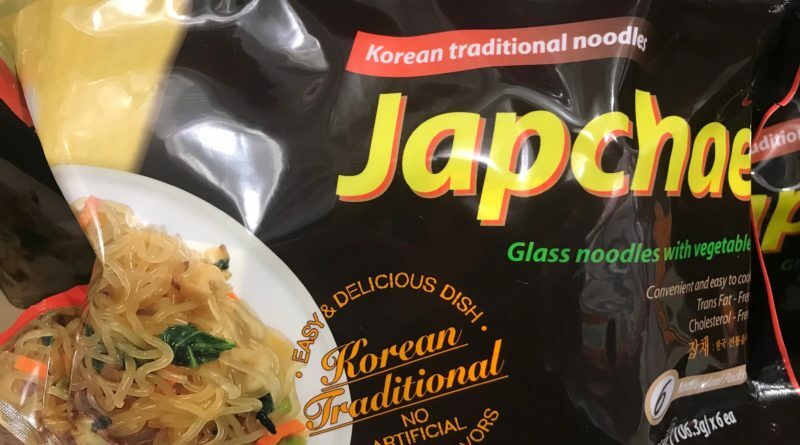 Have you bought the Japchae Korean Glass Noodles before? Do you like glass noodles? Share your thoughts below!